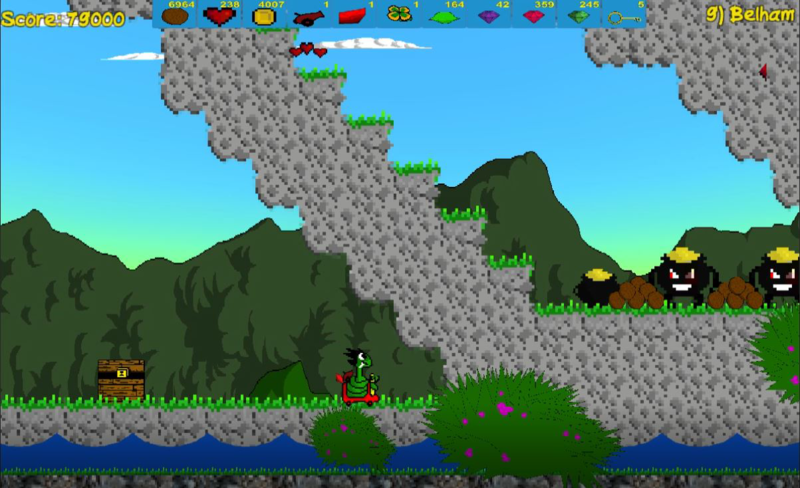 Stinky Snake is a 2D platformer family adventure game that was released in June 2018 on Steam for PC. The main character Snake was shipwrecked on an island alongside his family, a dog named Angel and a human child named Puppy. 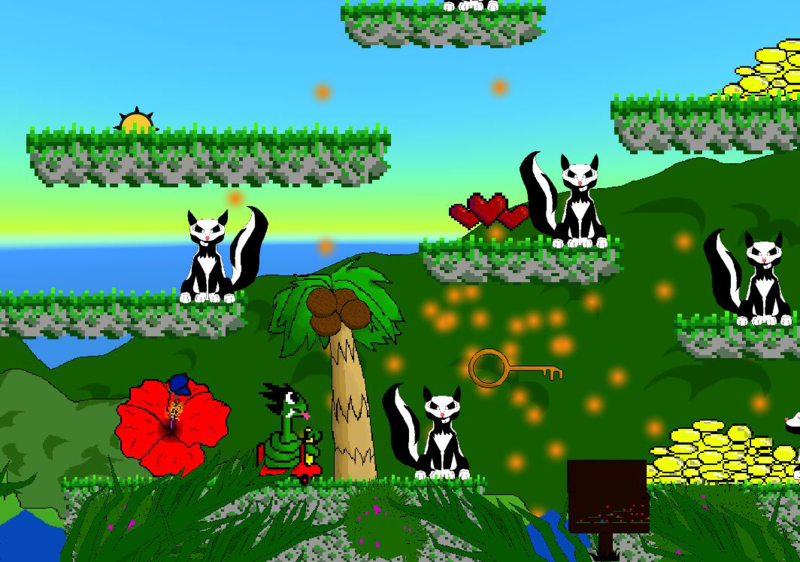 When Puppy and Angel are kidnapped by a skunk, Snake must fight his way through the rest of the skunks that reside on the island. However, once Snake has found his family, the story is not over. Snake realizes that the leader of the skunks is his sister and she isn’t the biggest threat he must face. 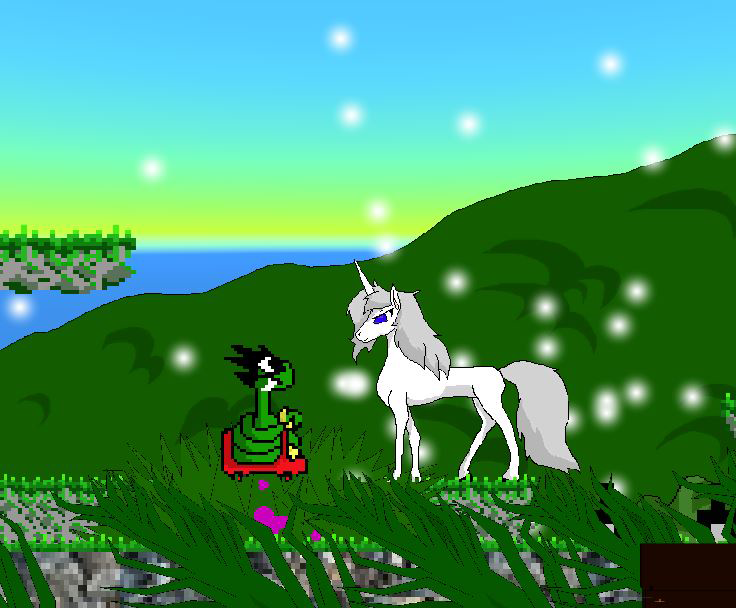 He also learns that the cart he used to complete his quest was cursed by the witch who gave it to him, which was the reason that he couldn’t go in sea water. Now, he needs to complete the Colonizer’s quest in order to break this curse. 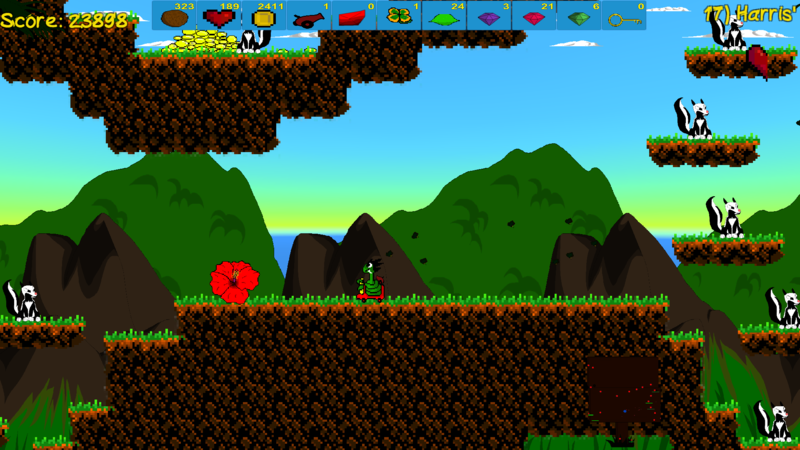 The game features several topical locations, including a dangerous active volcano, and takes place on The Emerald Isle, Montserrat, which is also the birth-place of lead developer Darlene Barker. 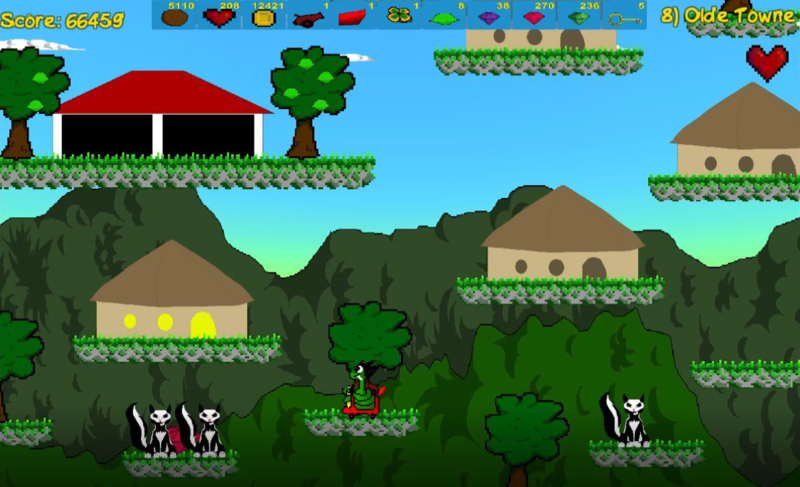 Stinky Snake is a game about family, is suitable for the whole family, and was created by a family. DB Attic Studios doesn’t just highlight the power of women in games, but also families in the industry. It’s remarkable how such a skilled family has come together to create every aspect of Stinky Snake in-house. 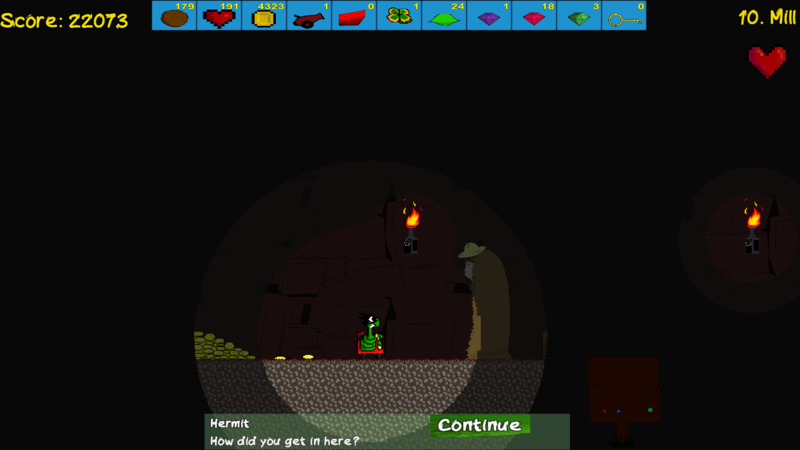 Multiple difficulty levels catering to a wide age range but most suited for kids 7 to 13. Whole team involved in the design of the game. Two rounds of the game to complete. 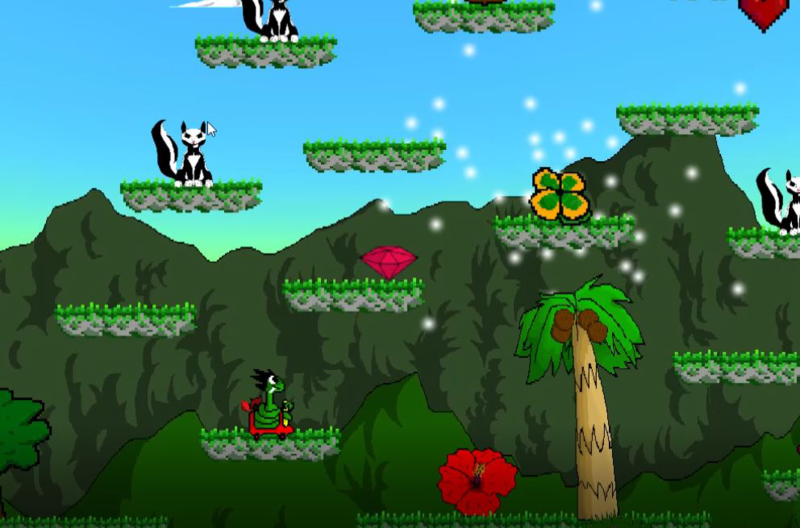 "Stinky Snake sets you on an adventure through the emerald isle, the game is based on a web comic named 'stinky snake' You have collect coconuts and defend yourself from aggresive skunks." 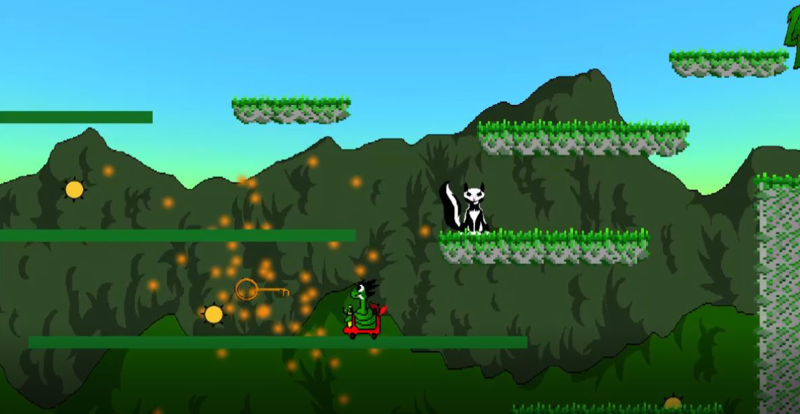 "Platformer, in which the snake on the skate passes full fo skunks levels." 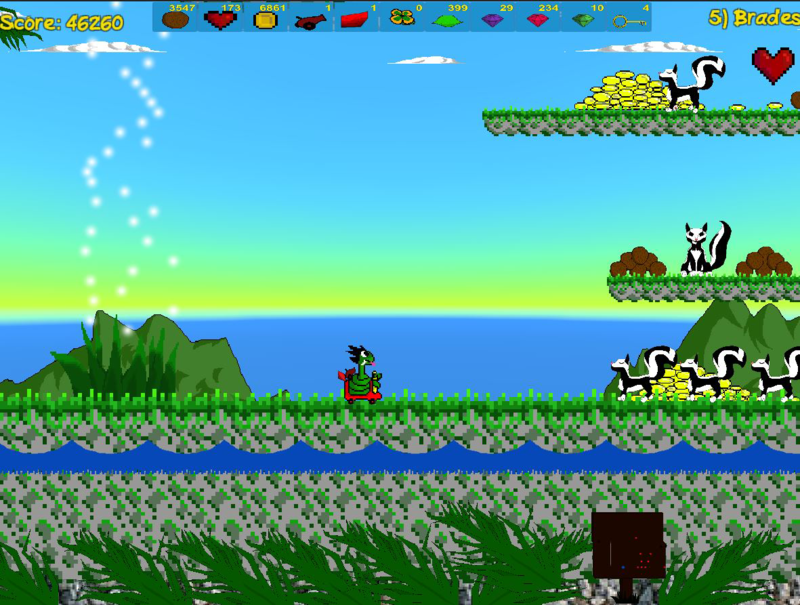 "Stinky Snake is cute and classic plateform (like old 8bit retrogame) for kids. 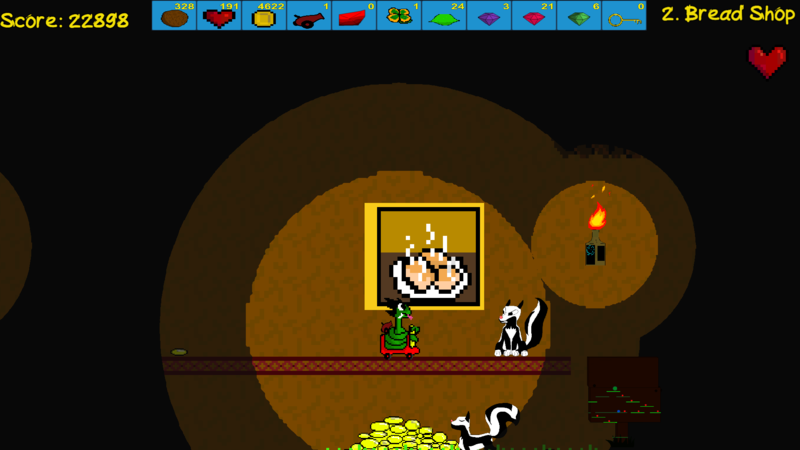 You control a snake, jump from plateform to plateform, collect gems and coconuts (can shoot them at enemies).Recommand!" "A cute platformer in which you play a snake on a cart, which, like the famous Mario, jumps on the slopes and collects coconuts. The principle of the game is intuitive and cool." 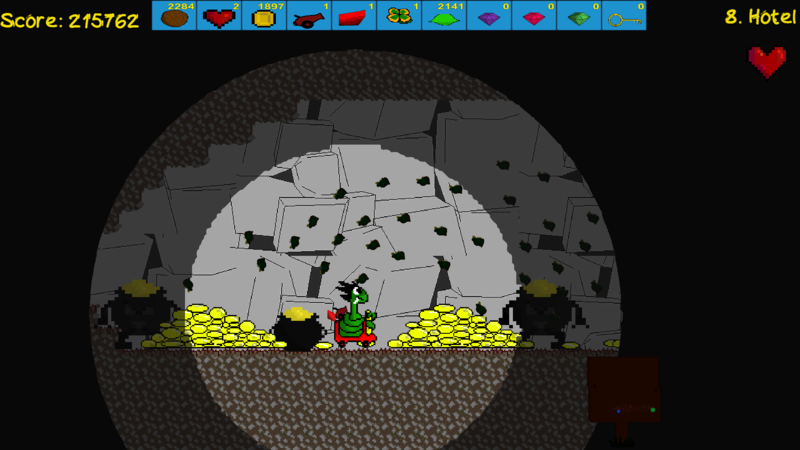 "I enjoyed playing Stinky Snake as well as my eight-year-old son. It is definatly a game for all ages." "You play a snake on a cart, which, like the famous Mario, jumps on the slopes and collects coins. 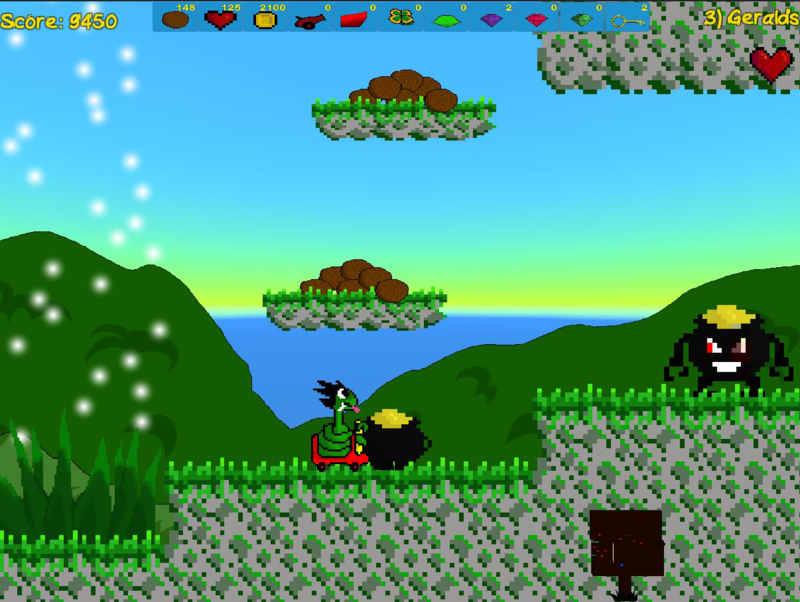 In general, the principle of the game is clear ..."
"imaginative platformer that is surprisingly challenging"
A pictorial glimpse into the game is available at https:.